What truly opened up my eyes for CM mice was the CM Storm Sentinel Advanced, which is an excellent gaming mouse. In this article we'll take a look at Cooler Master Storm Recon, which is the seventh mouse in cooler masters own gaming oriented brand. This mouse falls in the budget gaming mice category, but how does it fare against the other gaming mice out there? let's get started. Design-wise the CM Storm Recon looks pretty decent, but as with most CM Storms gaming mice, they seem to like creating "tall" or high mice, so your first contact with the mouse may be a little unpleasant. It will most likely take a little while to get used to if you're used to regular gaming mice like me. Recon has a total of nine buttons if you consider the clickable scroll button. All buttons are well positioned and gives you a feeling of quality. 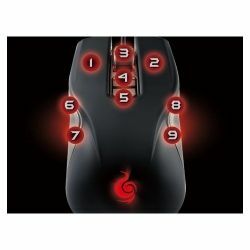 They're also quite comfortable to click which is important if you intend to use your mouse a lot. The scroll is unusually big, which I consider a positive thing, without being clumsy. The mouse consists of three different glide surfaces positioned under the mouse, one big in the front and two smaller on the back. The glide is decent, but I wouldn't recommend it If you plan on playing without a decent mouse pad. It does however run flawlessly on my SteelSeries QcK Gaming Mouse Pad. Aside from its height, the mouse is regular-sized, another attractive feat is that fact that it is neutral, which mean both left and right-handed people will be able to enjoy this mouse. The surface is mainly made up of rubber and therefore it offers a great grip. What do you think of the CM Storm Recon? The mouse comes with a software program where you can configure certain settings to fit your preferences. You can configure button functions, macros, dpi, create custom profiles (i.e one high dpi profile and less macro settings for first-person-shooters and perhaps lower dpi and more macro functions for role-playing-games) mouse lightning settings, double click settings and button speed. CM Storm Recon uses a well proven sensor called A3090, this sensor can also be found in gaming mice like Roccat Savu, Zowie AM and more. 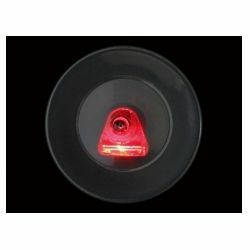 The A3090 is a highly regarded sensor that is known to preform very well. The optic sensor can handle up to 4000 dpi, which is regarded pretty high for an optical sensor. What makes it less attractive though is the fact that you can only go as low as 800 dpi, so if you're used to playing at very low dpi levels this mouse is probably not for you. There are a total of 4 levels; 800, 1600, 3200 and 4000 dpi. Once you've gotten used to the mouse It becomes a very pleasant tool for gaming. It offers superior grip thanks to its rubber based surface. The sensor handles every type of mouse pad I've thrown at it with ease and the buttons feel extremely comfortable. 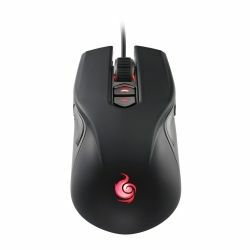 All in all it's a very nice optical mouse for gaming, especially if you consider its low price. This is great information for gamers! @john9229: Awesome to hear :) thanks! Ok! I'm going to get this gaming mouse. Nice Lens! I've been looking to replace my old Logitech mouse with a gaming mouse. Like the you have here. Bookmarked the lens..thanks. very informative lens. 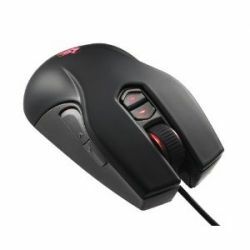 Wish I had known about or owned this mouse when I first started playing Eve Online or Freelancer, as I think this type of mouse would have really helped out. If I get back into Eve I'll give this mouse a look, keybinding my web/scrams and weapon skills directly to the mouse would make me even more deadly. It is certainly a great mouse. Cooler Master Storm Recon's 4000 DPI is more than sufficient for most gamers, and the fact that it just costs 40$ is simply irresistible! But I do recommend a gaming mouse pad for it. Looks like this would be a fantastic FPS mouse. Great looking lens! My nephew who is gaming mad will be very interested in this! Nice lens for gamers. Also thanks for liking another one of my lenses. looks like a great mouse- is there a wireless version? 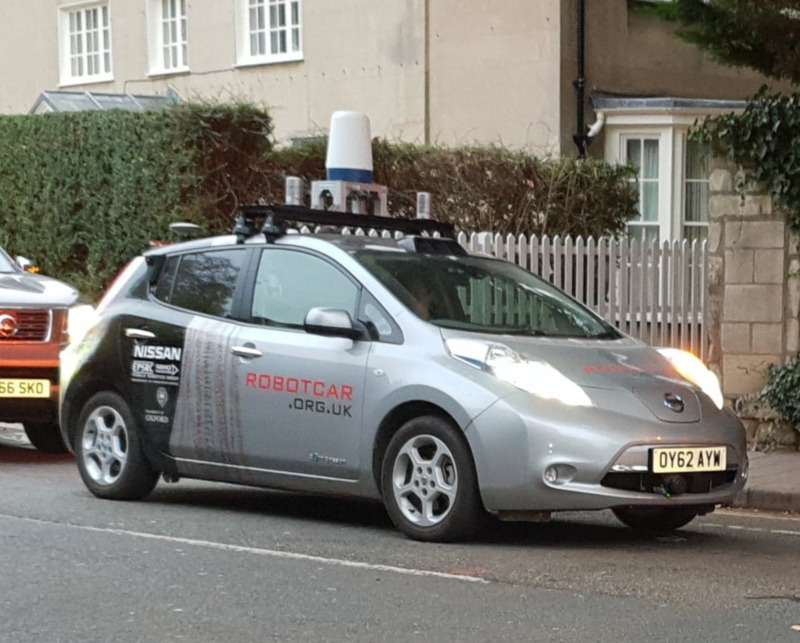 I'd be interested in trying it. Every true gamer should have one of these gaming mice! @Nightcat: Thank you ! :D I have many more reviews coming up (just got a new mouse from my gf and ordered another one myself, lol. So stay tuned! Good lens and good product!